Over the past several decades the US Congress has made substantial efforts to eliminate the use of foreign financial assets to evade applicable US taxes. Since 1970 there has been a requirement for US persons with bank accounts held in foreign countries to disclose these accounts on the Foreign Bank Account Report, or FBAR (formerly Form TD F 90-22.1, now FinCEN Form 114). For nearly 40 years it was a largely unknown and forgotten compliance requirement, but in the post-financial-crisis anti-tax-evasion world the government has increased efforts to enforce the law. Indeed, in 2008 the IRS issued a press release reminding those US taxpayers with foreign bank accounts of the reporting obligations, as well as the consequences of not reporting (which can be severe—see below). At present, the reporting threshold is a US person with foreign accounts which in total exceed $10,000 in aggregate value at any time during the year. In 2010 Congress introduced the Foreign Account Tax Compliance Act (FATCA) and its associated Form(s) 8938, Statement of Specified Foreign Financial Assets. FATCA is designed to force foreign financial institutions to report to the IRS in the same way as domestic US ones. It has a broader remit than FBAR and requires disclosure to the IRS of foreign financial accounts and other financial assets not held in an account. This means not only currency and assets held in foreign bank/custodial accounts, but also assets such as shares and bonds not held in custodial accounts (e.g. share certificates). The reporting thresholds are much higher, and account for whether the taxpayer lives abroad or in the US. The FATCA rules for individuals are applicable from Tax Year 2011 going forward. The primary difference between FBAR and FATCA is that the Form 114 is an information return that is reported to the Treasury Department’s Financial Crimes Enforcement Network (“FinCEN”), while the FATCA Form(s) 8938 are additional scheduled items individually reported within the Form 1040. The FBAR is not filed with the Form 1040—it is sent separately to the Treasury’s FinCEN. The FinCEN wants to make sure you are not hiding any foreign assets; while the IRS wants to make sure you are paying all the tax you owe on gains in your foreign assets. Furthermore, the filing deadline for the FBAR is June 30th of the following year (and is not extendable), while the FATCA deadline is the same as the 1040 and enjoys the same extended deadlines. There is a large amount of overlap between the FBAR and FATCA reporting requirements but not all of the terminology and definitions are the same, resulting in substantial confusion. The majority of people who require FATCA compliance will also require FBAR, but many FBAR filers do not have to file FATCA. Form 8938 (file with your tax return) – April 18, 2016; June 15, 2016 for expats; or October 17, 2016 if you file an additional extension. You own or control foreign bank and financial accounts with a combined value over $10,000. While this requirement isn’t new, expats and their tax advisors often overlooked it in the past. Recent international enforcement efforts have raised awareness of the requirement. Now, all expats should be certain they’re compliant. This is only an informational document. No additional tax is going to be added. However, severe penalties can be levied against taxpayers who fail to file or file late. So, it’s important to work with an expat tax advisor who understands your obligations. Taxpayers who intentionally avoid FBAR reporting can face criminal charges. If you haven’t filed required FBAR reports in prior years, you should act quickly. Consult an expat tax advisor to discuss your compliance options. 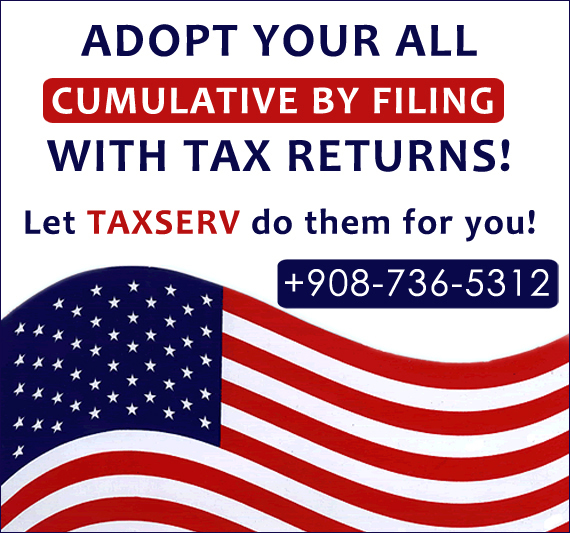 U.S. taxpayers with foreign accounts and assets might need to file Form 8938: Statement of Specified Foreign Financial Assets with their returns. Financial institutions must report information about U.S. citizens who have accounts with the institutions. New rules on financial reporting will affect expats. However, the effects will be indirect. Some foreign financial institutions must report on U.S. citizen and resident clients who have accounts worth more than $50,000. If you’re an expat who hasn’t been filing returns and FBARs, this could affect you. Ex: The foreign banks you use might be required to obtain additional information about you. They would report this information to the U.S. government. The IRS could figure out you’re not in compliance before you report yourself. In that case, many of the preferential disclosure options will be unavailable to you. You might face additional tax, penalties, and interest.